The Board of the Directors of the Grenada Investment Development Corporation (GIDC) has announced the appointment of Ronald Theodore to the position of Chief Executive Officer (CEO) with effect from 11 December 2018. He served previously as Senior Vice President from 1 October 2015. Highly regarded both regionally and locally in the field of investment promotion and facilitation, Theodore served with distinction as the President of the Caribbean Association of Investment Promotion Agencies (CAIPA) from 2012 to 2014 and prior to that, as its 1st Vice President from 2010 to 2012. He continues to be a Director of that organisation and also serves as a Member of the Citizen By Investment Committee. Theodore is the holder of an MBA from Heriot-Watt University and a Bachelor’s degree from the University of the West Indies with a major in Economics and minor in Management. Over the last 17 years at GIDC, the CEO’s career has spanned the roles of Investment Promotion Officer, Investment Promotion Manager and Vice President. He has had responsibility for developing strategies to attract and facilitate foreign direct investment (FDI) as well as advocate on behalf of investors to improve Grenada’s competitiveness. 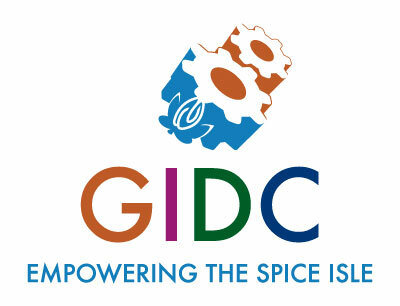 Theodore said, “I continue to be delighted to be part of this dynamic organisation which plays a critical role in Grenada’s socio-economic development.” He also thanked the Board of Directors and the GIDC team for their unwavering support and confidence in him.